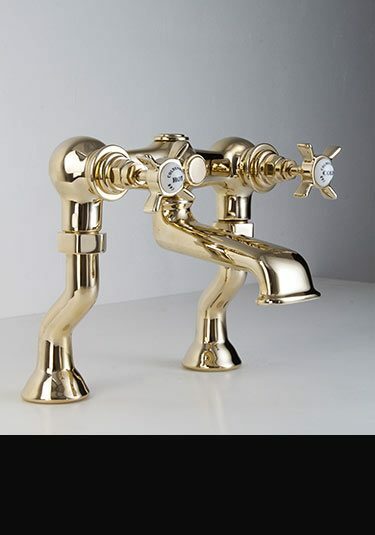 Livinghouse are UK suppliers of a beautiful range of traditional styled gold bathroom taps and shower fittings. 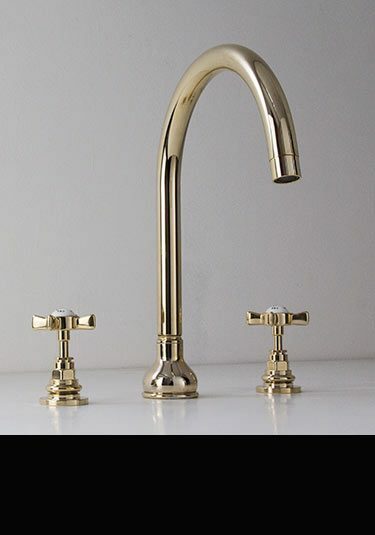 All our luxury taps are lovely European quality and made in solid brass with a thick gold plated finish. 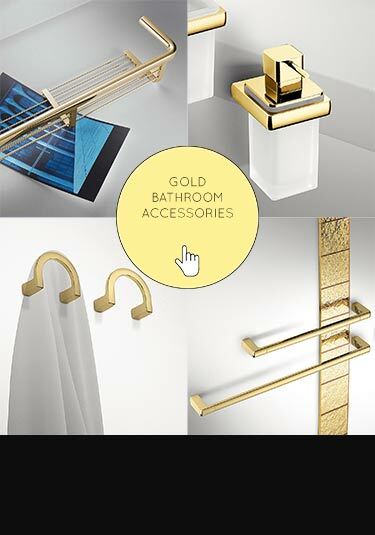 Ideal for luxury traditional bathroom design, we offer a full range of fittings including gold basin taps, bath fillers aswell as matching gold shower heads and thermostatic shower valves. 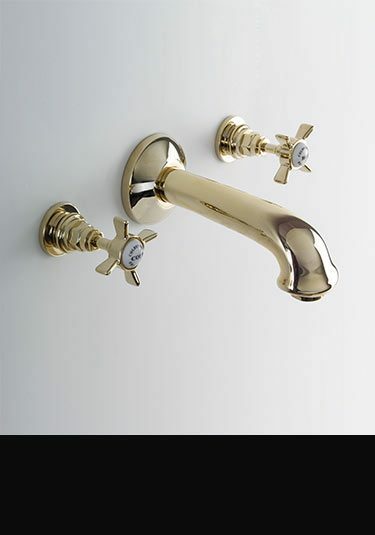 All our bathroom fittings are finished to special order please allow 3 weeks for delivery. 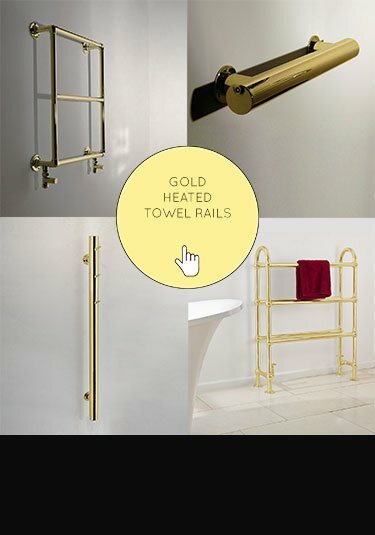 Traditional styled gold shower rail and adjustable head is beautiful European quality. 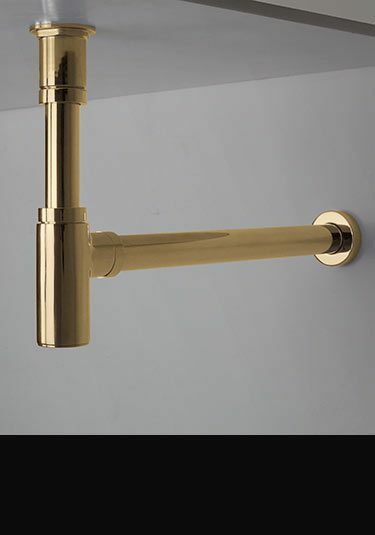 Made in brass with a gold plated finish. 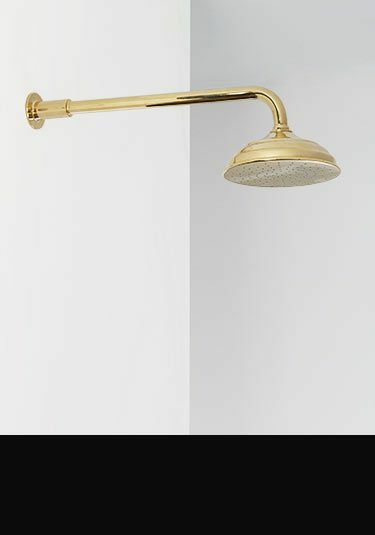 Lovely European quality gold shower head with fixed shower wall arm made in a luxury Victorian design. 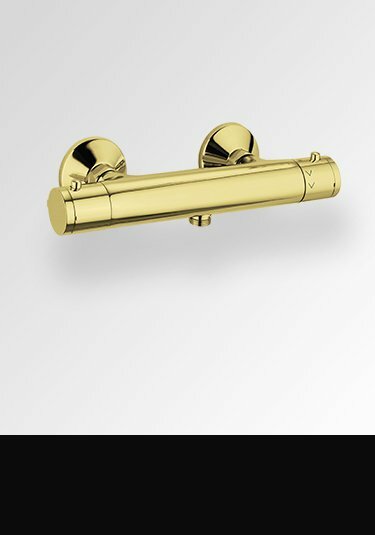 Solid brass construction with a thick gold plated finish. 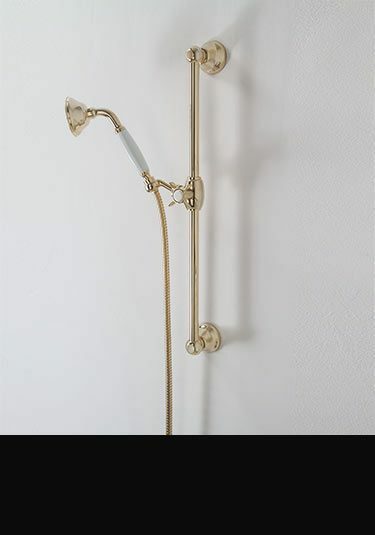 This thermostatic shower valve is finished in a gold plated finish and designed for surface wall mounting. 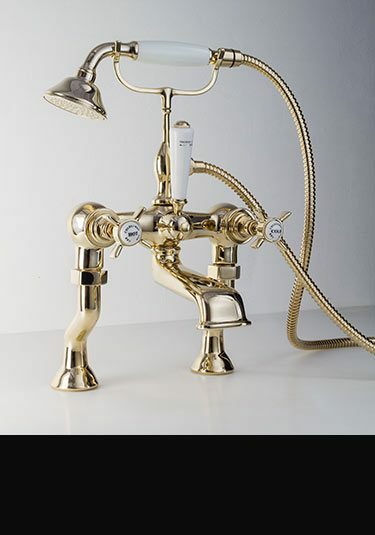 Each exposed gold shower valve has the latest European thermostatic cartridges for smooth water mixing and longevity. 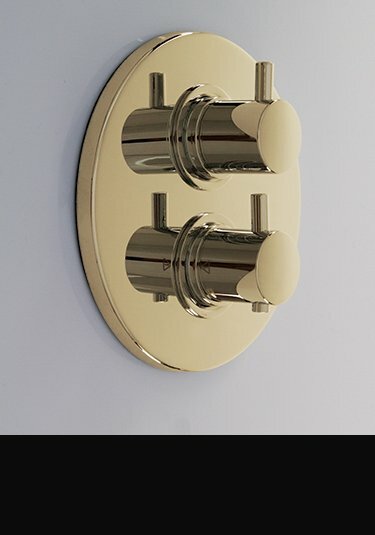 This thermostatically controlled shower valve is finished in a gold plated finish and available with 1 or 2 shower functions. 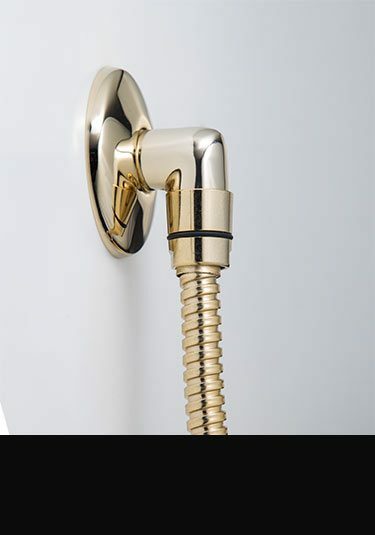 Each gold thermostatic shower valve is designed for recessing into the wall. European manufactured. 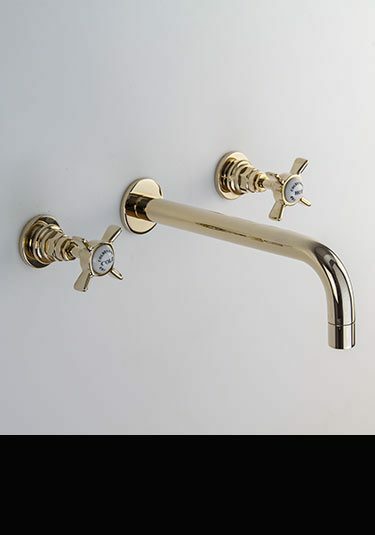 A gold plated shower elbow designed for wall mounting junction, allowing the tidy connection of shower hoses to the water supply. 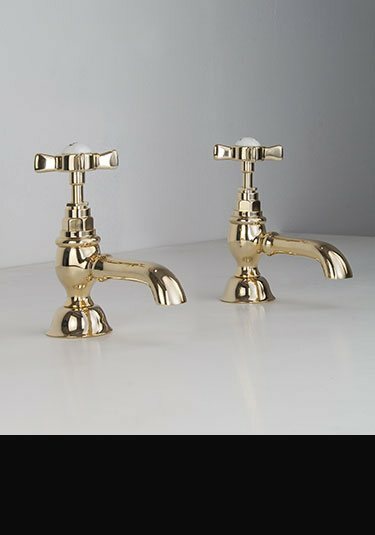 If you require a beautiful traditional bathroom with an old Victorian style theme the Classic Gold Collection would make an ideal design choice. 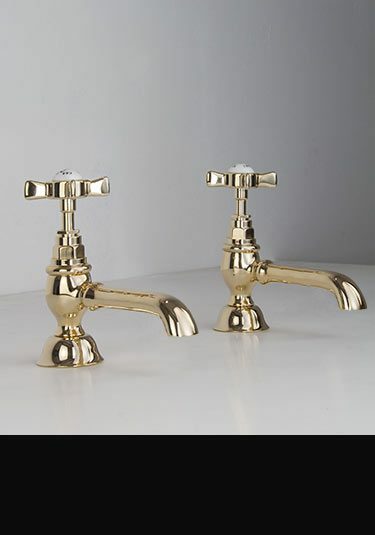 With its Italian styling and European manufacture, these traditional taps adds the luxury finishing touches required in high quality bathroom design. 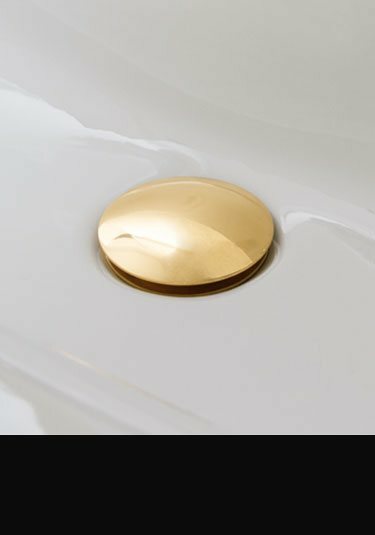 Whether it is a traditional sink, a roll top bath or shower, we can offer, made in solid brass with a thick plated finish, all the brassware required. 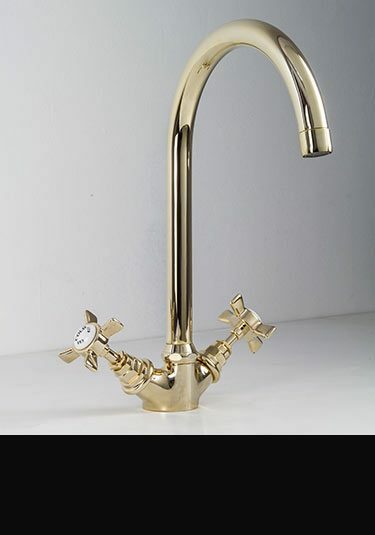 All gold finished taps are supplied to special order please allow 3 weeks for delivery.